General Motors Co. could build the Chevrolet Cruze at an Opel factory in Poland and other Chevrolet models in Germany as part of plans to return its money-losing European operations to profitability, according to union sources. 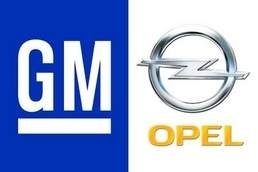 GM is discussing with unions transferring some Chevrolet production from South Korea to Opel in Europe to make its European plants more efficient, people close to the leadership of the German union IG Metall told Reuters. In exchange, GM would get a free hand to push ahead with the cost-cutting it says it needs to reverse losses at Opel. The Ruesselsheim-based automaker has lost roughly $13 billion since 1999. One idea would be shifting production of the high-volume Cruze compact car to Gliwice, Poland, and then swapping production from that Opel plant to others in western Europe, according to the sources, who asked not to be identified discussing union strategy. The Gliwice plant builds the Astra compact. Another proposal under discussion would bring output of the Chevrolet Orlando crossover to Opel's Bochum, Germany, plant, according to sources. Bochum, which builds the Zafira minivan, has long been considered the Opel plant most likely to be closed. IG Metall also wants the Chevrolet Captiva medium SUV and its Opel Antara sibling to be built in Bochum, former Opel union boss Klaus Franz told Automotive News Europe late last year. He also said the next Agila subcompact should be built in Gliwice instead of in Korea as GM plans. Currently the model is produced at Suzuki's factory in Hungary. Opel's union also wants a new Opel small SUV built in Zaragoza, Spain. GM exported about 250,000 vehicles to Europe from South Korea last year. GM CEO Akerson in August said GM's "what-should-we-do list" included plans to build Chevrolet vehicles in Europe. GM wants to outline a clear strategy for Opel by the end of March, said one source familiar with the thinking of Akerson. Akerson has pushed GM's management for faster results in Europe even as GM boasts strong profits in the world's two largest auto markets: China and the United States. The outline of a deal to save Opel has been taking shape over the past two months, but details of what concessions the union might offer remain unclear. One possibility would be reopening a labor contract with IG Metall, now set to expire at the end of 2014, in exchange for the new production commitments. The contract bars job cuts and plant closures. "We're looking at how can we enhance revenue, how can we manage our costs better, what does our manufacturing footprint look like, can we shift more production into Europe, possibly from Asia. There are a lot of variables in the mix," Akerson said in a Dec. 1 interview with Reuters. GM declined to comment on the details of its talks with the German union. A contentious restructuring of Opel negotiated with IG Metall in 2010 fell short of the savings needed to keep the unit profitable when the European market began sliding late last year. The German union's strategy is to maximize the use of Opel plants, convince GM to export Opel cars to more markets outside Europe and avoid job cuts, said the sources, who added the sides agree on a majority of the issues. GM has said Chevrolet is its global mainstream brand and it has no intention of expanding Opel's distribution, but both sides agree there needs to be more sharing of vehicle platforms and parts to further drive down costs. For example, the Opel Astra compact and Insignia mid-sized car do not share enough parts. GM will report a full-year loss in Europe when it releases fourth-quarter results in February. "It's not a tenable situation. We can't lose money in perpetuity," Akerson told reporters at the Detroit auto show this week. GM desperately needs to cut costs at Opel against the backdrop of a European debt crisis that has caused slumping demand, particularly in southern Europe. Opel CEO Karl-Friedrich Stracke in December laid out his vision for a 1 billion-euro ($1.27 billion) profit for the unit by 2016 and a market share of 8.5 percent in Europe, emphasizing the needed cuts to improve profits. "We must focus our entire strength into lowering structural costs next year," he said in a company newsletter. "We must abolish unnecessary processes and get rid of every form of bureaucracy."